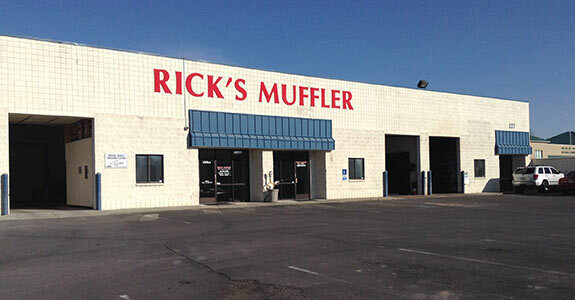 Specializing in exhaust repairs and tune-ups, Rick’s Muffler is your local source for auto repair in Orem, UT. Our ASE Certified mechanics are here to ensure that your vehicle functions perfectly at all times and we’re here to assist you with general automotive repairs to keep you on the road longer. Since 1995, Rick’s Muffler has been the foremost local authority on your vehicle’s exhaust system and everything under the hood. We take pride in providing a vast array of crucial vehicle services. What sets us apart from competitors is our strive for complete soundness in all of our service offerings—meaning we always drive to meet and exceed the automotive needs of our customers. Whether you’re in need of a simple tune-up to keep your car in prime working condition or your vehicle demands comprehensive service under the hood, we’re the only automotive service you’ll ever need. We always have an ASE Master Certified technician on hand. We’re proud to serve Orem, UT and the local surrounding areas. 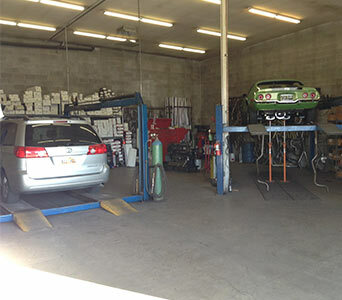 We’re your one-stop service facility for all regularly schedule maintenance. We’ve been in business since 1995. "Fast and great work! Professional attitudes in and out of the shop. Prices were a perfect range and cheaper than a lot of other places. I wo..."
"I needed a few welds for an injector puller I made. They were able to help out and made it quick and easy. I’d go back for sure." "HIGHLY RECOMMENDED.They take extra care, I never have to worry about the little things being done right. These guys are honest and just so ..."
"Great customer service, quick and efficient"
"Quick, honest and good quality work. what more can you ask for." Looking for exhaust repairs on your vehicle? Seeking electrical diagnostics to help you get to the bottom of an issue? We’re here to help you maintain your vehicle in every capacity!